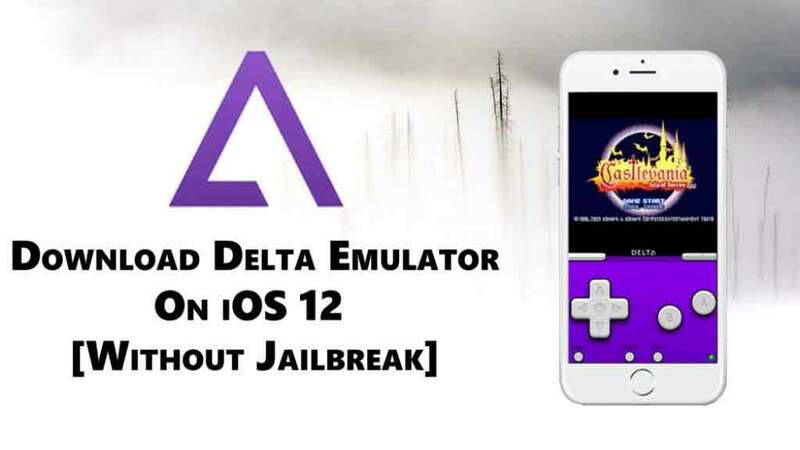 How to install delta emulator on iOS 12 – Hello guys, it’s time to shutter down of GBA4IOS and I want to introduce you the best emulator for iOS devices called delta emulator. When it comes to playing games on iPhone & iPad then everybody seeking for the game boy, GBA4iOS emulator. But the only thing that makes iOS users disappointed is the jailbreak. Jailbreak is nothing but that crack the process and allows the games to play on your device. Some iOS users are using GBA4iOS emulator on their devices. but there are some flaws in the GBA4iOS which allow the users for downloading the apps from AppStore. There are some issues that often happen after jailbreaking and you don’t know those issues but can also find those issues. once the iOS device should be jailbroken. So those who want to play amazing games and seeking for the best emulator for their iOS devices, don’t have any best choice than Delta emulator. Yeah, Delta emulator is that emulator that will run smoothly on your iOS 12+, 11 or 10 devices without jailbreak. I know some of you guys already know about it. Because it has been in the market for a long time and many iOS users still using it on their devices. and once you will use it on your devices then I’m sure you will never go for any other emulator. This advanced emulator has made of a better engine which is smooth and delivers a good outcome. I’m sure one day it will become the best emulator. It is far better than GBA4iOS and more powerful. it has lots of games with quality features. so if you want to know how to download delta emulator on iOS 12 device then follow the steps below. So first of all guys, you’ll need to go to the Safari app type iosemulatorspot.com in the search bar or you can click on the link below and it will take you directly to the website, from where you can download & install delta emulator on your iOS 12 devices. When you are on the website then you’ll need to go to select a page and then do scrolling to the Emulator IPA’s and click on it and then you will see some emulators and delta emulator also will be there. Once you see it then click on it then you will redirect on the next page, where you will have the alternative link to download the app. So when you are on the download page then you will see the alternative link. now, click on the download link and then the downloading process will start. you just need to wait for the finish download process. Once it finished then just install it by following the instruction. Guys after installing, if you try to open it then, of course, you will see a pop-up that says “untrusted enterprise developer“. If you don’t know the mean of this message then I want to tell you, whenever you will try to run any third-party app on your iOS device then you will face this message ever. because Apple doesn’t allow to run the third-party app on the iOS device. But don’t worry, you just need to go to the settings and then general and then click on the profile & device management and trust the app. now, you can use & enjoy the app with any problem. Delta emulator is the best emulator to download & play your favorite games on your iOS devices. It supports various games and provides authentication to use on your iOS devices. Thanks for reading this article guys, hope you like this post and if you like this post then please don’t forget to share it with your friends, family members, and on the social media and also visit daily on this website for reading new & helpful articles like this one.